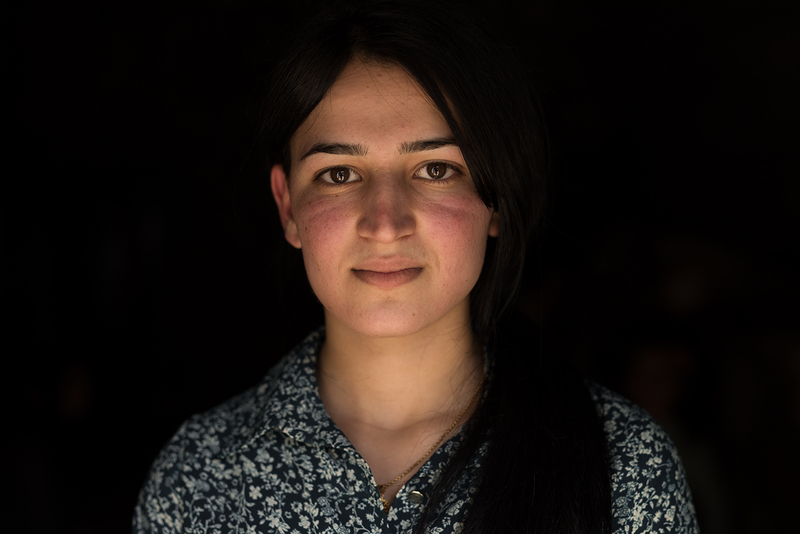 Rawiya Dakhil came from a wealthy Yazidi family in SInjar. Her father was a village elder. They now live in Chamiskou refugee camp with her mother, two sisters and brother. Everything was lost to ISIS, but her family survived. She was offered asylum in Germany, but refused to go. "I love my father. I will not leave him."